Just a short walk from all of the happenings downtown, this comfortable two-bedroom cottage is the ideal home base while visiting Baker! 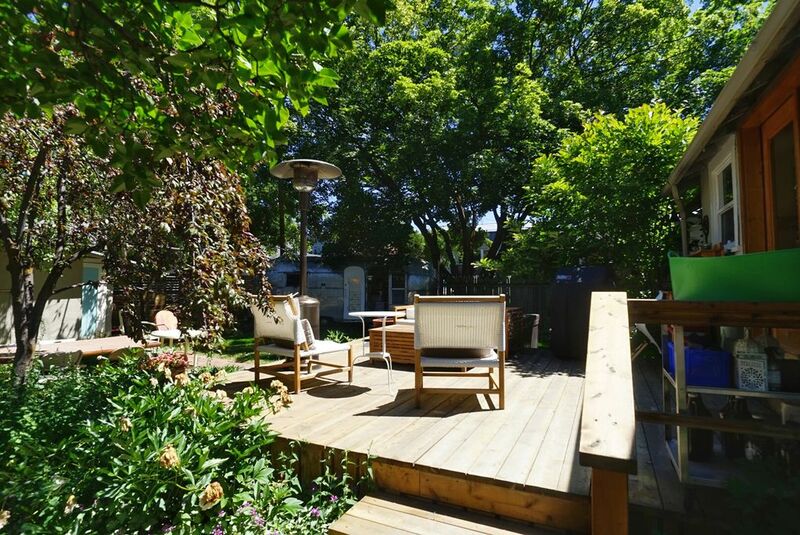 You can hang out at home or head out, knowing you are just a short walk away from being back at the house in time to use the hot tub or infrared sauna, both just off the large deck where the evening can be spent relaxing in a back yard designed for entertainment! We loved our stay in Andrew's home. The pictures do not do it justice. It is absolutely adorable with lots of unique furniture, art, pottery, etc. The homeowner's have an eye for vintage charm. The home was warm and cozy, beds were comfy, hot tub was wonderful for the kids. Great home base for our spring break ski trip. Several things to keep in mind that aren't necessarily apparent from the listing - not necessarily bad. There is no TV. Also, this is a home where the homeowner's live, not a rental space. There are nice things in the house and their personal belongings in it that made it a bit nerve wracking with 2 kids. Also, no place to put clothing made it a bit tough, but overall fine. We loved our stay at Andrew's home. It was the perfect launch pad for our weekend of skiing at Anthony Lakes. Andrew was a great host, warm and quick to respond to questions. We especially enjoyed the hot tub and beautiful artwork all over the house. The bathroom is a jack and jill style, which worked fine for 2 couples staying. We all really enjoyed our time there and would definitely stay again. Cute, comfortable home in a great location. Hot tub was great, extra beds in the basement. Owners were very hospitable and quick to respond. House was perfect and had everything we needed! Hosts were very attentive and responded to any questions very quickly. Outdoor space was amazing. Enjoyed relaxing there in the sun! Location was great. Close enough to shops and restaurants but far enough away to be quiet and peaceful. Would highly recommend staying here! So comfortable. The house was just what we were looking for. Perfect in every way. Thank you ! !